Please consider supporting our parish via pre-approved donations instead of weekly envelopes. 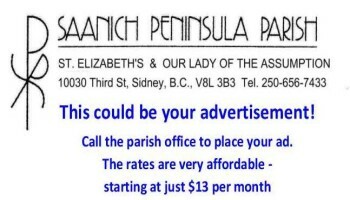 This is a convenient way to contribute to the parish. Each month your contribution will be automatically debited from your bank account. Packages are available in both churches. If you have any questions, please call the parish office at 250-656-7433.